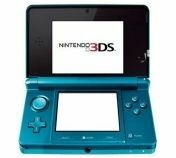 New Nintendo 3DS XL - Nuovi colori disponibili! Queste coloratissime console Nintendo 3DS XL sono arrivate nei negozi! Sito ufficiale: http://www.nintendo.it/games/oms/new-nintendo-3ds/index.html?utm_medium=social&utm_source=you..
Nintendo Direct 1-9-2016 - Annuncio/Announcement - 16:00 CEST (ITA) http://nintendohall.altervista.org/2016/08/30/un-nuovo-nintendo-direct-a-sorpresa-in-onda-il-prossimo-1-settembr.. This just came out today in the US at Target and Walmart stores. Seems pretty limited as my Target only got 2 in. This is the first unboxing from the US on all of youtube, as I did..
We jump for joy as we unbox the special New Nintendo 3DS LL Super Famicom Edition!